Salamander Hotels & Resorts is an independent, luxury brand that creates exceptional and authentic experiences at each of its relaxing escapes and retreats in Virginia and Florida, led by the flagship equestrian-inspired Salamander Resort & Spa—recognized in 2014 by Condé Nast Traveler as one of the Top 10 Resorts in the South and by Travel + Leisure as one of the World’s Greatest Hotels. 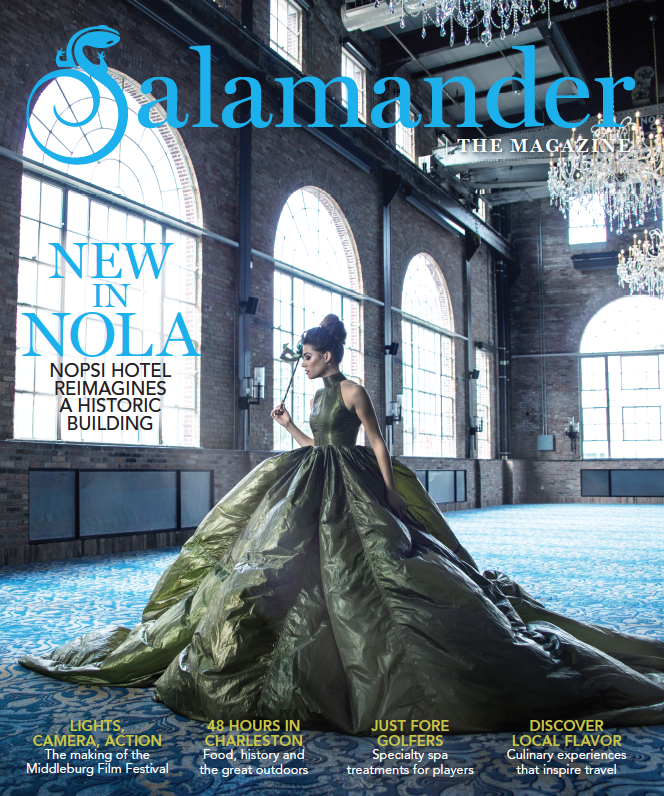 Sheila C. Johnson, founder and CEO of this growing portfolio, leads Salamander Hotels & Resorts with an exacting vision of excellence, bringing a refreshingly caring, thoughtful and personalized approach to hospitality. A successful entrepreneur and impassioned philanthropist, Ms. Johnson is Vice Chairman of Monumental Sports & Entertainment and is the only African-American woman to have ownership in three professional sports teams: the NBA’s Washington Wizards, the NHL’s Washington Capitals, and the WNBA’s Washington Mystics, for which she serves as President and Managing Partner. She also serves on the Executive Committee of the United States Golf Association, on the Board of Governors of Parsons The New School for Design in New York, and is a member of the Leadership Council at Harvard Kennedy School’s Center for Public Leadership.